Churchwood Valley is a haven of peace in an environmental paradise. Set in a beautiful wooded valley, a short stroll from Wembury Beach and the South West Coastal Path, we have 56 comfortable timber cabins, each with its own secluded patio. Wildlife abounds and the walks are stunning. We pride ourselves on our commitment to preserving the natural environment, which David Bellamy has recognised by awarding us a gold Conservation award 23 times in a row. All cabins are well-equipped with modern appliances including microwaves in all, and washing machines and dishwashers in larger ones. All cabins have TVs with DVD players. Central heating is installed and electricity is included in the hire charge. Barbecues are available on request. Pets welcome; maximum 2 dogs per cabin. Nearby Wembury Beach is within a marine conservation area and in summer months wardens lead rockpool rambles along the foreshore. The beach is popular with surfers while adjoining headlands and beaches provide a strong attraction for anglers. We have a riding stables and Forest school available on the park while in nearby Plymouth and the Mount Batten Centre there are opportunities for many kinds of water sports. 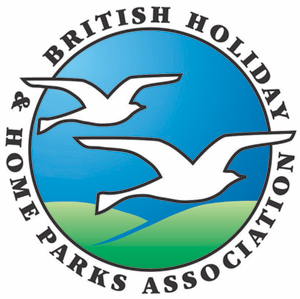 Within a short drive there are hosts of places to visit from picturesque coastal towns, historic buildings and gardens to Dartmoor and visitor attractions. And the Eden Project is about an hour’s drive away. Comfortable timber chalets set in wooded valley leading down to the sea. Includes walks, beaches and woodland. Rich in wildlife. 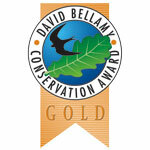 23 times David Bellamy Gold Award winner. A379 Plymouth Kingsbridge Road to Elburton, then follow Langdon Court and Churchwood signs.